As far as junk food fundraising goes, I don't think there are any health charities worse than the Juvenile Diabetes Research Foundation. 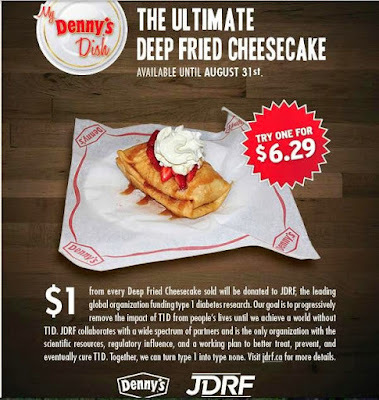 While in the past they've been quick to defend their sale of some of the junk food world's least healthful choices by reminding critics that they are a charity supporting type 1 diabetes - an autoimmune disease - and not type 2 diabetes, I don't give a flying hoot. 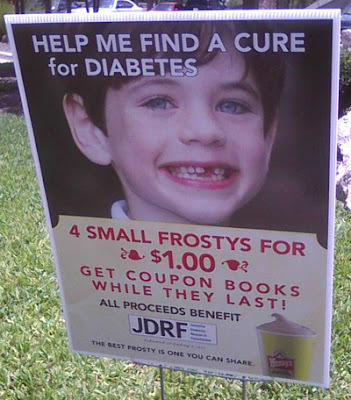 Selling illness in the name of health isn't something a health charity should be involved with, let alone a charity who regardless of the etiology of their cause's illness, should assuredly know better than to promote, permit, and encourage the sale and consumption of huge boluses of sugar. 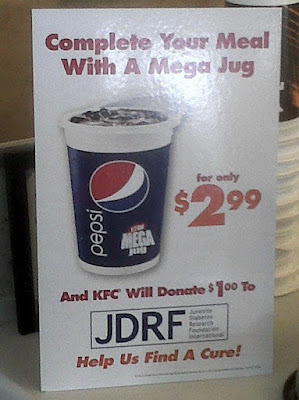 And now, on the backs of Mega-Jugs of Pepsi at KFC, Frosties at Wendy's, and deep-fried cheesecake at Denny's comes two other new-to-me initiatives. 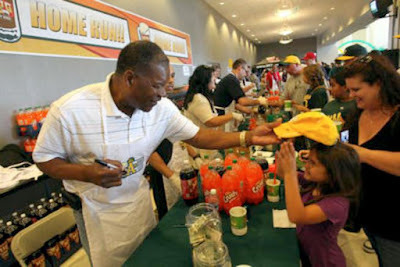 And then there's this one. Honestly, I'm still struggling to believe it's real, but it is. 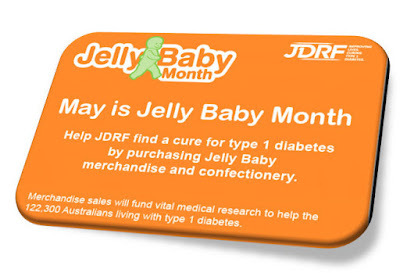 It comes from JDRF Australia where they have a "Jelly Babies Month" for the JDRF. Ask your local shops to place a box on their counter for their customers. 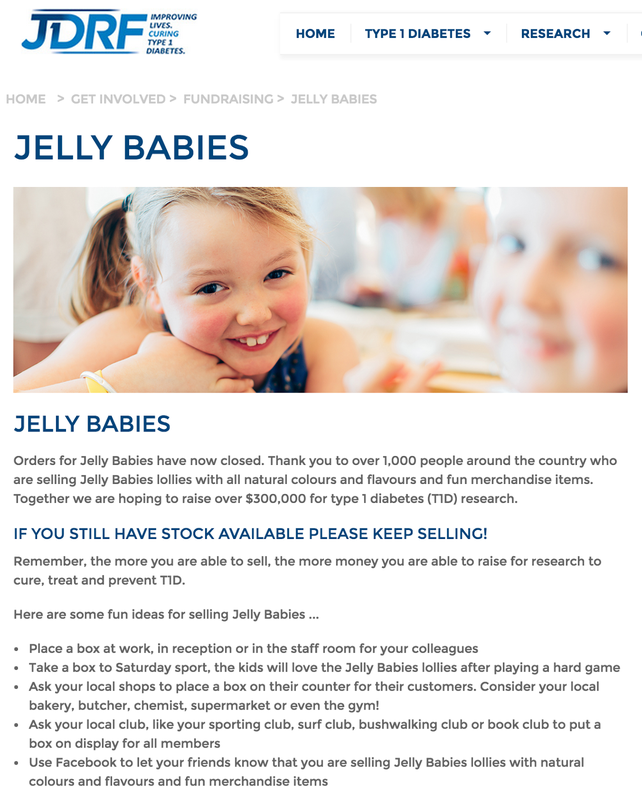 Consider your local bakery, butcher, chemist, supermarket or even the gym! 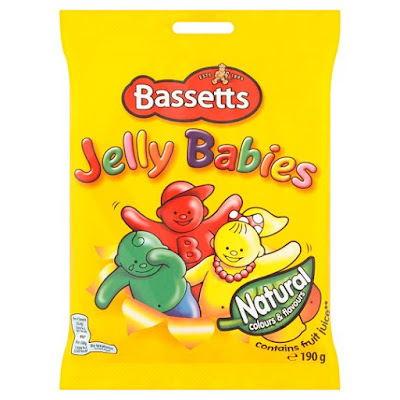 Candies which by weight are 74% sugar, with each tiny Jelly Baby (they appear to be slightly larger than a gummy bear in size) packing more than a teaspoon of the stuff. So once again I have to point out that it's time we put an end to junk food fundraising.